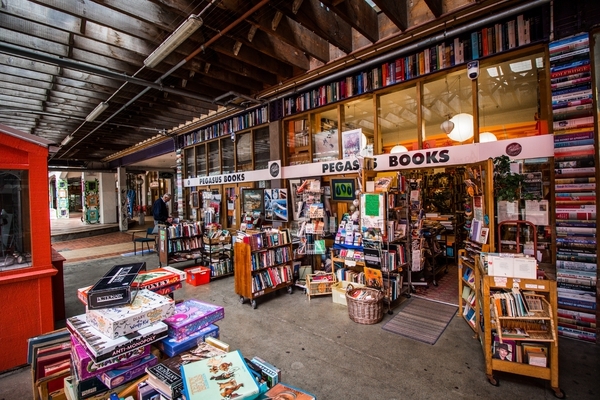 As a small independent bookseller, Pegasus Books aims to stock quality books at affordable prices, ranging in age from antiquarian to near new. The small team of staff offers a personalized service,with a wide knowledge of books. Pegasus Books focuses on subjects such as Poetry, Philosophy, Mythology, Classics (Greek and Roman), Spiritual Paths, Art, Music, and Architecture and Design. There is also a good stock of New Zealand subjects, Sociology and Anthropology, Eastern Religions, Christianity, History, Criticism, Travel, and Maori Books. The popular store also features categories like Food and Wine, Gardening, Sports, Crafts, Women’s Issues, Gay and Lesbian, Foreign Language, Medieval, and Jewish Interest.